Today I’m sharing an easy and delightful 5 Ingredient Miso Soup Recipe, that can be made in just 5 minutes! Start out the new year with something light and savory. Miso soup is something I crave on a regular basis. It’s a guilt-free bowl of comfort with a distinct soy flavor. 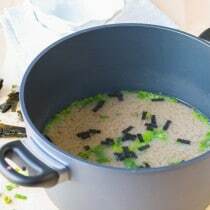 I used to think the only way to “make” a bowl of miso soup was to open a packet of dry miso soup and stir it into water. Actually, cooking a homemade miso soup recipe is not much more complicated than using the dry packets. Yet the taste is something to experience! Rich and savory. 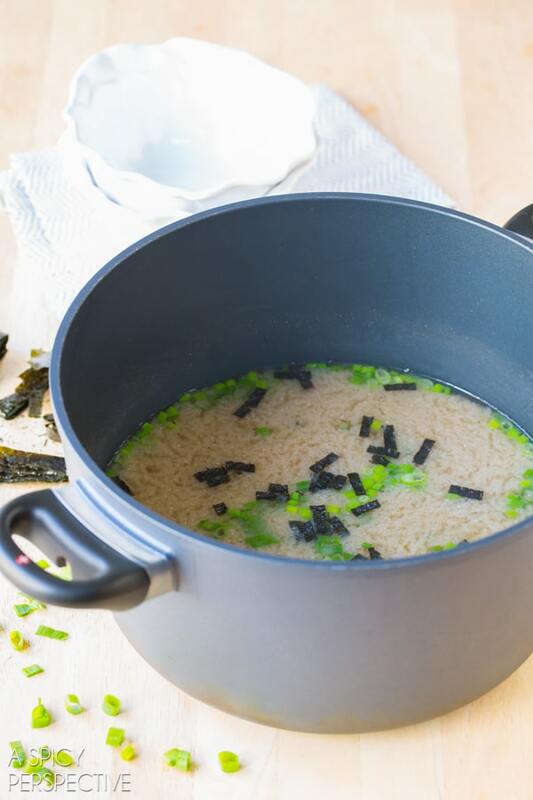 With only 5 simply ingredients, and 5 minutes time (provided you have a high heat burner) you can make a fresh robust miso soup recipe that’s good enough to serve to dinner guests. 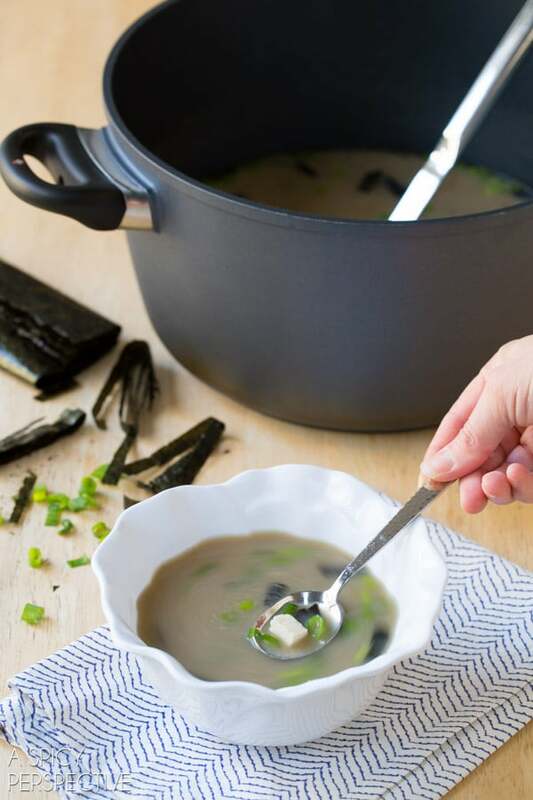 Dashi is a common asian soup broth made with mushrooms, dried fish, and seaweed. However, it can be tricky to find is certain parts of the country (or world). 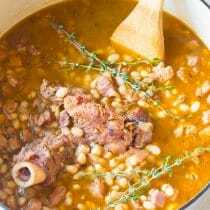 If you can’t find it, or prefer to make a vegan version, use mushroom broth instead. It resembles the flavor of dashi, without the dried fish. White Miso Paste can be found in the refrigerated section of the produce department. It has a strong soy flavor with a slight floral essence. 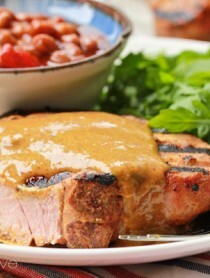 It’s fabulous for making sauces, glazes, and of course a killer miso soup recipe. Tofu can also be found in the refrigerated section of the produce department. Buy a “firm” or “extra firm” variety so it holds together when cut. Nori Sheets are thin pieces of dried seaweed, often used for rolling sushi. 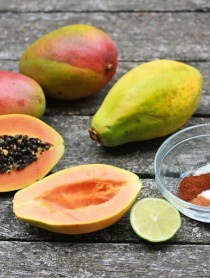 They can be found in the international section of most major grocery chains. If you are using mushroom broth instead of dashi, don’t skip the nori sheets. They really lift the flavor! Scallions or green onions round out a warm bowl of miso soup. You can stir them into the pot at the end, or use them as a garnish. Gorgeous Peony Bowls from Q Squared. All you have to do is bring the broth to a boil, turn off the heat, and stir in the 4 remaining ingredients. That means, you can have this amazing and healthy miso soup recipe any time you want. 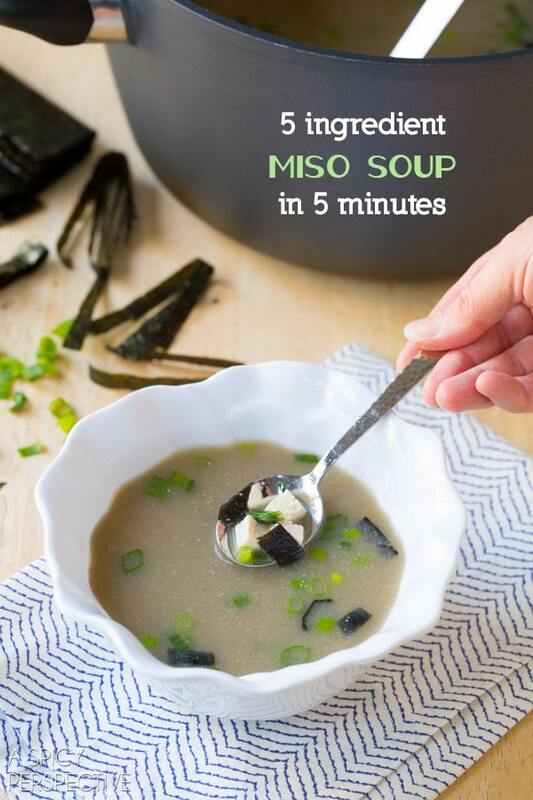 Easy 5 ingredient Miso Soup Recipe that takes only 5 minutes to make! This delicious savory soup is light, yet filling. 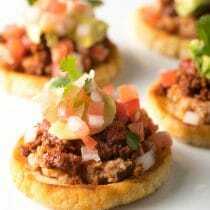 A perfect lunch or appetizer for any day! Place the dashi or mushroom broth in a large stockpot. Add 1 quart of water, cover, and bring to a boil. While the broth is coming to a boil, dry the tofu with paper towels and dice. Then cut the nori sheets into small 1/4 inch pieces with kitchen sheers. Chop the green onions. Once the broth reaches a boil, turn off the heat and whisk in the miso paste. Once dissolved, add the tofu, nori, and green onions. Stir and serve. We just have a Walmart, City Market and a Safeway. YES! My boyfriend and I LOVE miso soup! I have been looking for an easy recipe for forever, and this looks like the one… Except he’s allergic to mushrooms! I know I can sub out the broth, but do you think there’s a dashi available without mushrooms in it? I’ll stop by the Asian market tomorrow to check it out, now that I know what I need. 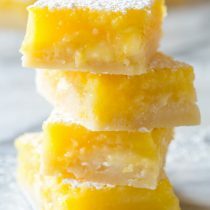 I hope I can find something to make this for us both! Thank you! 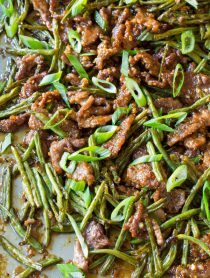 I love your website and recipes! Pinning this right now to make in the new year! Love miso! 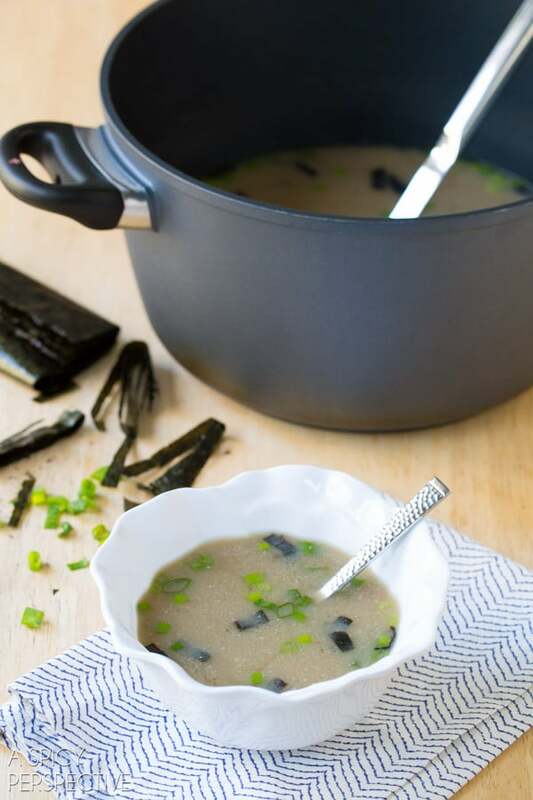 I love miso soup – what a great idea to use mushroom broth! 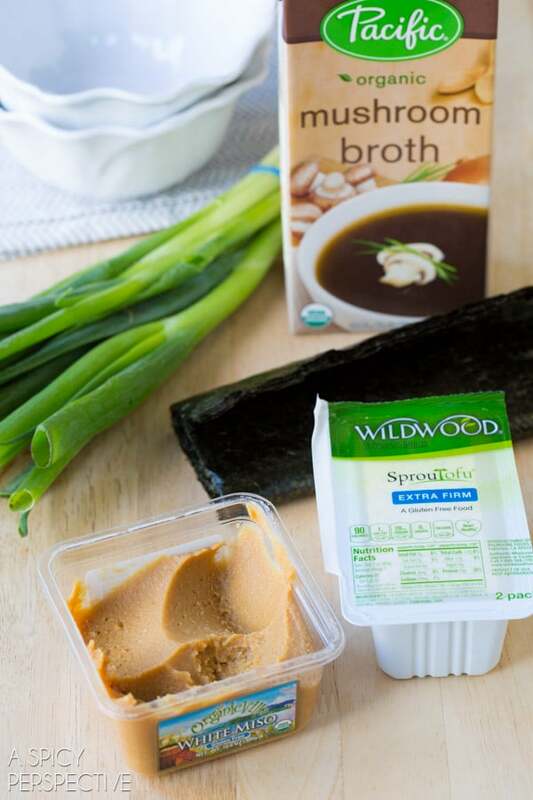 Sommer, I don’t think I’ve ever HAD miso soup before….now I totally want to make it! This looks like a delicious idea for lunch today! Happy New Year! So comforting and delicious! I need to make this soon! I love miso soup especially late at night! Thanks for sharing. I want to make this. 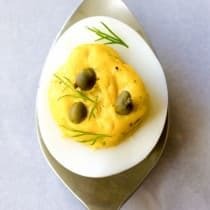 Love this recipe, Sommer. So quick and easy! Happy New Year, friend!